MANATEE MAGIC with "Mr. George, the Manatee"
So PROUD to be rated one of the Nation's TOP-RATED Nonprofits ! At no cost to you, some proceeds of qualifying Amazon purchases will go your Manatee Foundation ! It's a nice little educational center; only $1 for admission. 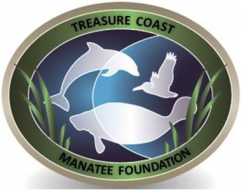 There is lots of information on manatees and other local marine life. There is a small touch tank and friendly, knowledgeable volunteers. We enjoy browsing in the gift shop. There's a nice view even if there are no manatees around. They also have summer camps and will do birthday parties as well. I've seen three manatees this week while picking my children up from camp!